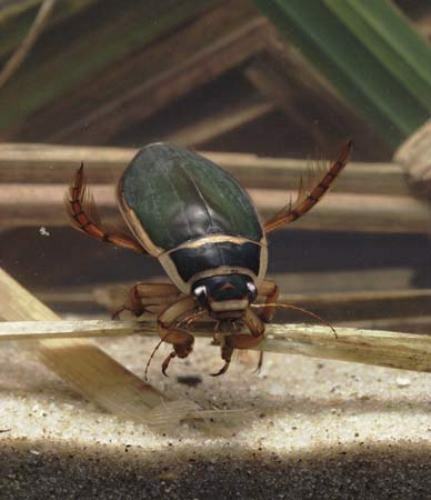 The largest species of diving beetle is Dytiscus latissimus. The length of this species is likely to reach 45 mm. 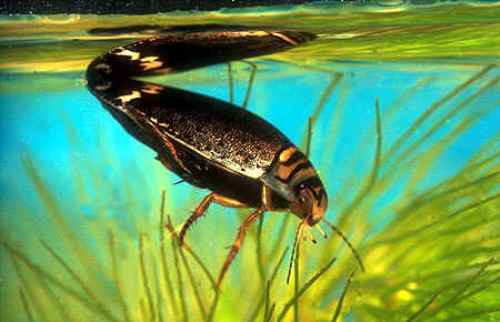 Most diving beetles have the body colors of dark olive green, blackish or even dark brown tone. Some subfamilies have the golden highlights in the body. The digestive enzymes will be delivered when diving beetles bite. They own sharp, yet short mandibles. Get facts about Bess Beetles here. The water tiger is a term to call the larvae of diving beetles. 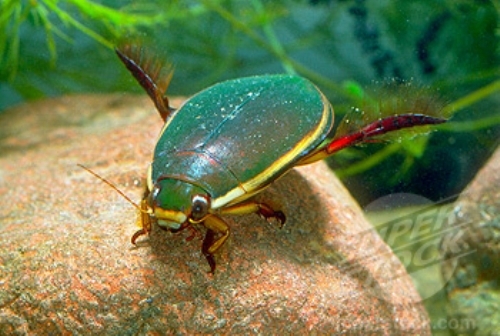 There are around 4,000 species of diving beetles. The shape of larval body of diving beetle resembles the crescent. The thin hairs can be found on the surface of long tail. 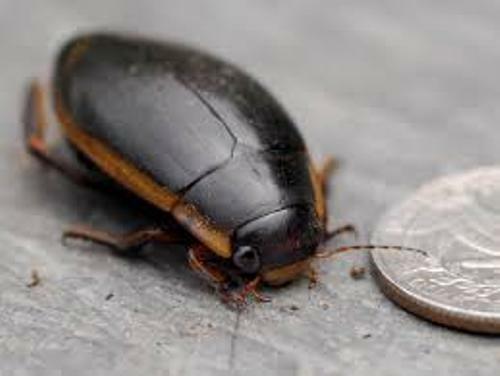 The size of the larval body of diving beetles is measured at 0.5 to 2.0 inches or 1 to 5 cm. The small dwelling animals, glassworms and tadpoles are some prey of diving beetles. The prey will be held tightly by the diving beetles as they pass. The pincers will be used to bite the prey and trap it in the middle of the front legs. Find facts about beetles here. The mature larvae will develop strong legs to enable them crawling from the water. To reach the pupation, they should bury themselves in the mud. Then they will appear as adult diving beetle from the mud. It will take seven days or more to complete the process. Do you know that some diving beetles are edible? The people eat tacos accompanied with salted and roasted C. explanatus in Mexico. 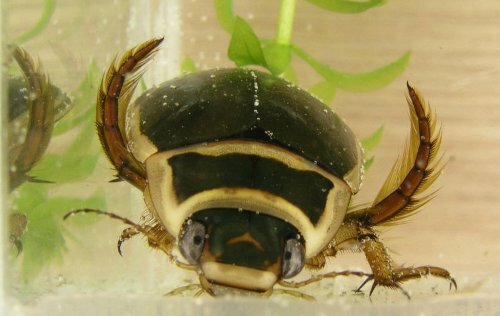 C. japonicas is another type of diving beetle consumed in Japan. It is also reported that the people in New Guinea, China, Thailand and Taiwan also consume it. Do you have any comment on facts about diving beetles?